St. Ignace, Michigan (November 3, 2016) – Star Line Mackinac Island Ferry, a 38-year-old Michigan ferry boat company that services Mackinac Island from St. Ignace and Mackinaw City, Mich., announced the intent to purchase several of Arnold Line passenger service assets as the Arnold Transit Company ceases all passenger ferry service. Most prominent in the purchase are five classic ferries, one freight boat, four docks including the main dock on Mackinac Island, one boatyard, along with parking lots and ticket booths in Mackinaw City and St. Ignace. Best known for its high-speed hydro-jet rooster tail boats, Star Line will operate the Huron, a steel hull passenger ferry that has been the only water transportation for residents and visitors to Mackinac Island during the winter months, since 1955. The announcement was made today by Jerry Fetty, CEO of Star Line Mackinac Island Ferry, and the financial details of the purchase were not disclosed. “Star Line is looking forward to increasing and improving options for our passengers while keeping the historic boats and properties that families have grown to love over the years, operational,” said Fetty. Both Star Line Mackinac Island Ferry and the Arnold Line have had a long history of ferrying dignitaries, islanders, visitors and goods to Mackinac Island. For historical background on both companies, click here. The ferries that Star Line intends to purchase are well known to islanders and visitors alike, and include the Huron, Chippewa, Ottawa, Straights of Mackinac II, Mackinac Islander, and Algomah. All Arnold Line assets to be purchased from the Arnold Transit Company will operate under the Star Line Mackinac Island Ferry name. The first change riders will experience is the transition of Star Line employees to the Huron, a vital transportation resource for the 500-600 Islanders to the mainland which will continue to operate out of its current docks. As part of the acquisition of assets, Star Line will abide by Mackinac Island’s winter ferry passenger service agreement. The company also has plans for making changes and improvements throughout the winter to bring the Arnold Line boats up to Star Line’s standards to further enhance their customers’ experience when the summer 2017 season begins. Star Line will begin accepting applications for seasonal employment in 2017. “By combining the assets of Arnold Line into Star Line’s operations, we will be able to provide the best possible service and experience for islanders and visitors to Mackinac Island,” Fetty added. Star Line Mackinac Island Ferry was established 1978 in St. Ignace, Michigan and has been ferrying families and islanders from Mackinaw City and St. Ignace to Mackinac Island for 38 years. The company is best known for their high-speed hydro-jet rooster tail boats, family-friendly atmosphere, most frequent number of trips to and from Mackinac Island and underneath the Mackinac Bridge. 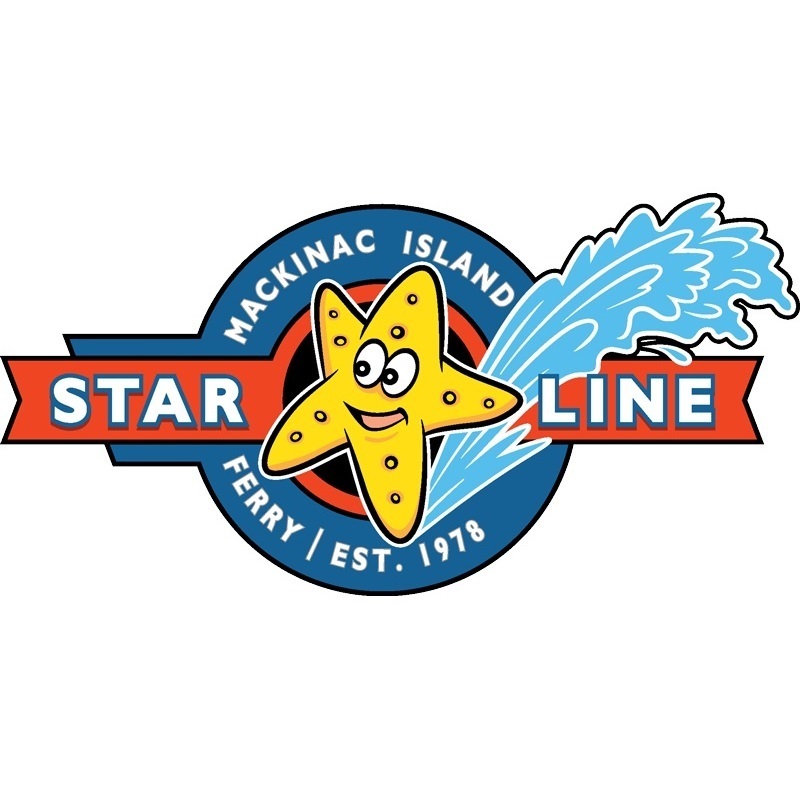 In addition to the Arnold Line assets that Star Line intends to purchase, Star Line’s ferry boats include the Mackinac Express catamaran, Marquette II, Radisson, Cadillac, Joliet, LaSalle, and Anna May. For more information, visit their website, Facebook or Instagram, or click here for photos.